For those of you that are wondering what we’ve been up to lately, here is a quick update. Drop offs starting to pick up big time – watch this space for more! My school (only fixed source of income monthly) going well, please click here if you would like to support us this way. Different.org is in FULL swing with only 24 days to go, please donate to this if you are passionate about helping new moms. The entertainment book has launched and if you would like to get great vouchers (worth R60 000) for only R500, click here. 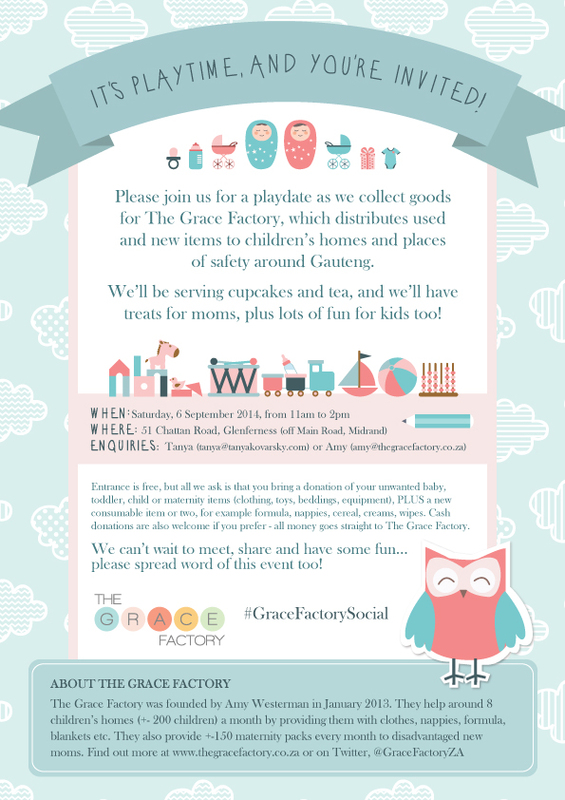 ← Our annual #GraceFactorySocial Save The Date!